With the completely online format, you don’t need to put your life on hold to continue your nursing education. You’re never alone as a student in Penn State’s online nursing programs. 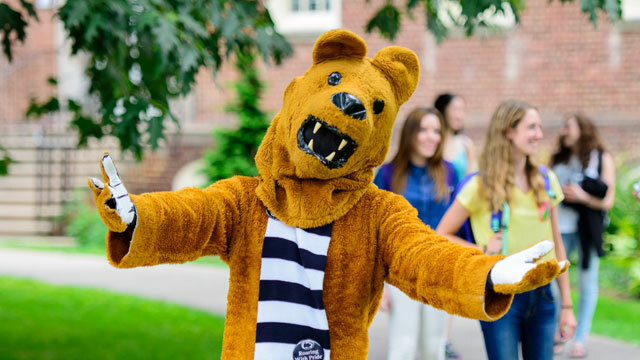 Our online campus connects you with highly regarded faculty from the Penn State College of Nursing, fellow students, caring advisers, and other experts who will support you during every step of your education. As medical conditions become increasingly complex across our population, nurses will continue to be an integral part of the overall care of patients. However, nurses with the ability to lead and manage people, and who also possess the knowledge of how to improve the business processes in a hospital or health system, will be in high demand. This certificate is designed as a “stand-alone” certificate or can serve as a “step up” to the Nurse Administrator option in the Master of Science in Nursing degree. When you have successfully completed our nurse administrator certificate program, you may apply the credits toward the master’s degree, if granted admission to enter the highly competitive program. All the certificate programs are offered entirely online through Penn State World Campus. Admission requirements are outlined on the World Campus website. To apply to the program you’ll need to complete the Graduate School application. How long does it take to complete one of these programs? Typically, only one or two courses in each certificate program are offered each semester. Most students complete the program in three to four semesters, but it may be possible to finish in two semesters depending on the offering schedule. Your academic adviser can help you to develop your plans for completing the courses in as timely a manner as possible. How much does it cost to complete one of the certificates? Part-time students at Penn State pay per credit. The cost per credit for the 2018-2019 academic year is $555, although this rate may increase from year to year. Financial aid is not available to non-degree students at Penn State.